When I decided to become a vet, I never imagined it would involve seven-hour hikes across swamps, streams and rough terrain to deliver cold boxes full of animal vaccines. I’m in South Sudan. A two-hour flight from the capital Juba, where the sky meets the ground, the shrub and grasslands are occasionally interrupted only by gunshots – either a warning to turn back or take cover. 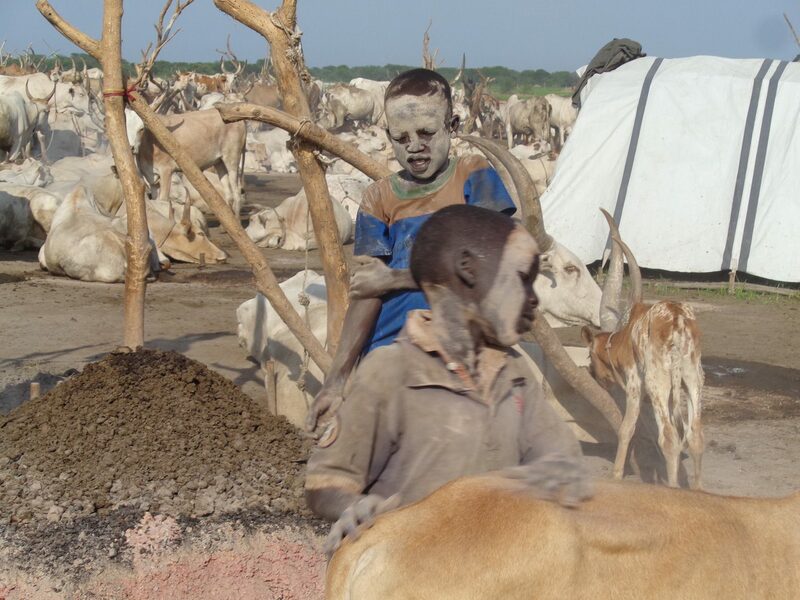 But in places like South Sudan, where there has been conflict since 1955, animal health forms an important part of the humanitarian effort. 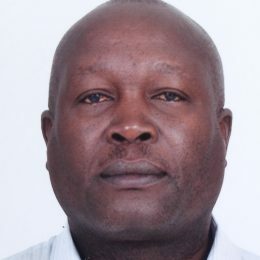 Interestingly, and fortunately, war does not entirely wipe out the livestock market, despite the fact that most pastoralists have lost their herds. In fact, in some areas where farmers are unable to grow grains, farm animals are the only source of food when everything else is scarce. 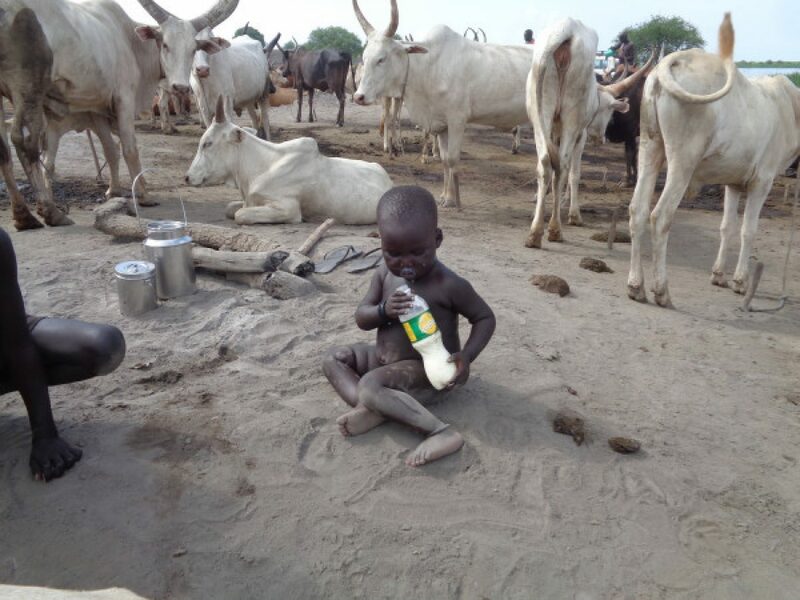 In such circumstances, it is crucial that we protect these animals as much as possible, especially because milk is a lifeline for the more than 275,000 children kept hungry here in South Sudan by war. Real improvements are only possible when relative peace can happen for a long period of time. This allows us to introduce more productive and quicker-maturing breeds. Otherwise, the best we can do is vaccinate cows, sheep and chickens against key and endemic diseases, to safeguard them for food or for sale. Doing so is not easy at all. The road network has deteriorated because of the conflict, so we have to travel via aircraft. But this still leaves us hours from the field, and in the middle of a war, planes are normally reserved for priority life-saving commodities, not animal vaccines. Three out of every four trips typically fail. But that fourth time, we manage to line up the animal health workers, refrigerate the vaccines and get on the plane. On the ground is where the hard work starts: from the fridge to the cattle in the fields, animal health teams carry the cold boxes on their shoulders. Treks can be up to seven hours long, and we must keep a close eye on the cold box throughout. If the temperature rises? The vaccine is destroyed and our hard work is lost. Journeying is difficult: walking through open land, occasionally having to wade through streams up to our necks, but we get there. When we reach the livestock farmers, cattle are always in the open; there are no fences. Everything, even cooking and sleeping, is done outside. It’s very basic. We have limited resources, and we do our best. Even in areas that are less affected by the protracted fighting, animal agriculture remains an important means for families to increase their income, and this means better access to medicine, food and education for their children. Here in South Sudan, we have worked with farmers to introduce new breeds of chicken, which lay up to four times as many eggs. It’s an understandably closed society, where – introducing new production methods to farmers has not been easy. But the new breeds, along with preventative health treatment, are helping meet a growing local demand for poultry and eggs. In areas where there has been peace, we have been able to halve mortality levels in poultry from as high as 80 per cent. But in areas that have seen intense conflict for a long time, we have to be more patient. Vaccines are an essential service that we can offer right now, but long-term prosperity requires peace. Only then can veterinarians treat outbreaks of disease, improve herd nutrition, educate farmers, and more. For now though, our best short-term hope is to find ways to deliver vaccines by whatever means possible to save lives and livelihoods.